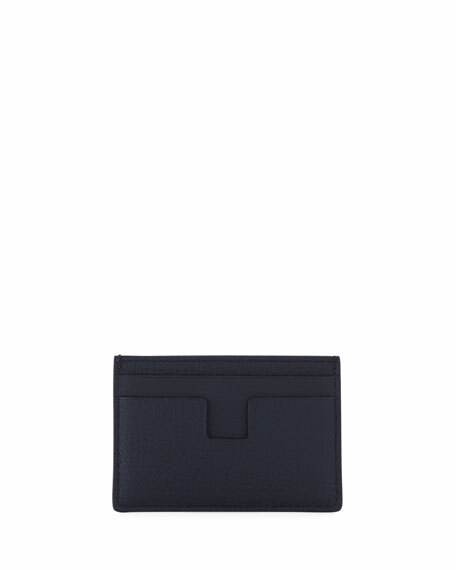 TOM FORD card holder with embossed logo. 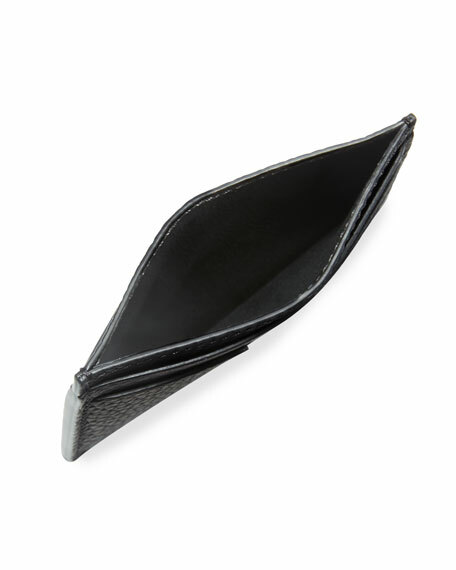 Four card slots; center slip pocket. Montblanc business card holder in full-grain cowhide. Business cards compartment; two credit card slot; additional pocket. Jacquard lining. 4.3"H x 2.9"W. Made in Germany. Montblanc business card holder in full-grain cowhide. Business cards compartment; two credit card slot; additional pocket. Jacquard lining. 4.3"H x 2.9"W. Made in Italy. Montblanc wallet in full-grain cowhide. Silvertone emblem at upper corner. 5 pockets for cards. RFID protection. 4.1"H x 2.7"W. Made in Italy.